Whether you are just learning to ride a bike or training for your next triathlon, understanding the parts of a bike is important. If you plan to use it often, you’re most likely to experience the usual wear and tear from constant use, regardless of how frequently you maintain it. Sure you can get it fixed, but it will be costly and inconvenient. You’ll be able to save a lot more money if you’ll take the time to learn each parts and repair the bike on your own. Want to learn more about your bike or maybe build one on your own? If so, you’re in luck! 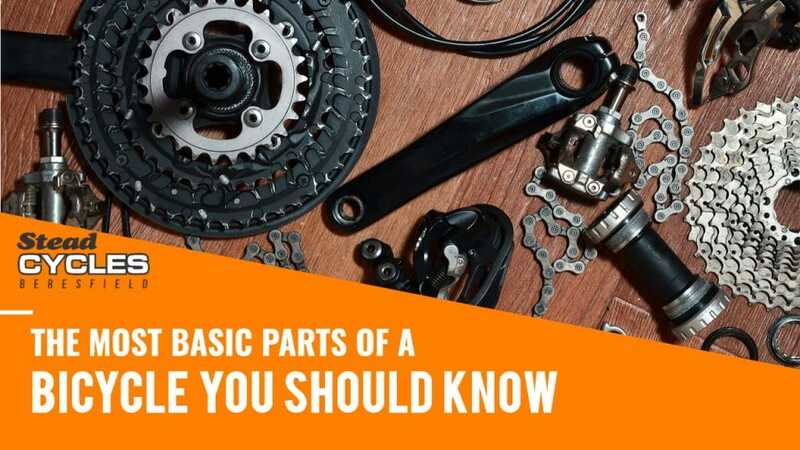 Here are the basic parts of a bicycle that you should know. 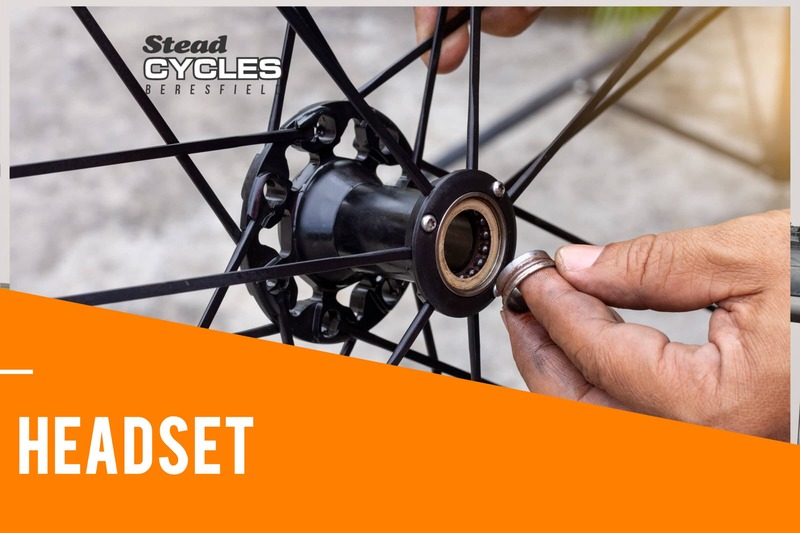 The frame is the very foundation of the bike as it is where the other components of the bike are installed such as the wheels, the handlebars, and the like. Learning about the frame is important because if you want to purchase or replace your bike, you will have to choose one that fits your activity, and your height. There are plenty of frame materials to choose from. Among them are aluminium, carbon fibre, and steel. Aluminium is light and cheap but you will feel bumps on the road. Carbon fibre is strong and a little more expensive than aluminium but it provides a better road experience. Steel is heavier than the other two and is considered the cheapest. Steel will last longer but is best used for road bikes and fat tire mountain bikes. The seat post of course is where the saddle is placed. The seat post can be made of different kinds of materials and the important thing is that you have to get a seat post compatible with the seat tube on the frame. The saddle is the seat attached to the seat post. 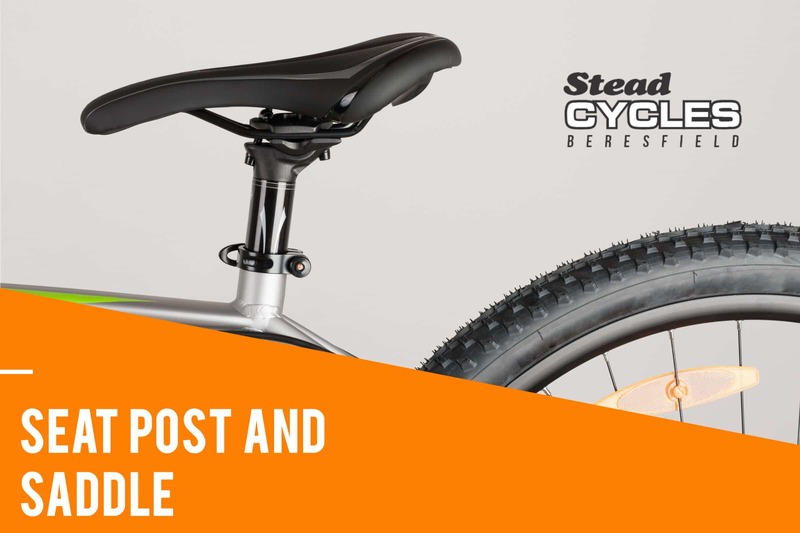 The saddle is usually compatible with seat post regardless of sizing so this is not a problem as long as you choose a saddle you’re comfortable with. The headset consists of parts including races, cups, and bearings. These are parts that connect the frame to the fork. The headset is first attached to the frame by installing the headtube to the frame. The cups are put into the holes of the headtube and the bearings are placed into these cups. It should be noted that the better bearings are those that are not sealed. Sealed bearings are fitted perfectly around the bearing balls and are usually covered in rubber to hide the bearing balls. Unsealed bearings are better because they are easier to maintain, clean, and re-grease when necessary. The fork holds the front wheel in place. This usually consists of two blades connected to a fork crown. It is important to know that while the fork’s job is to attach the wheel to the frame, there are fork designs to fit specific types of bike. There are forks perfect for mountain bikes, roads, or BMX. It will all depend on what you need. 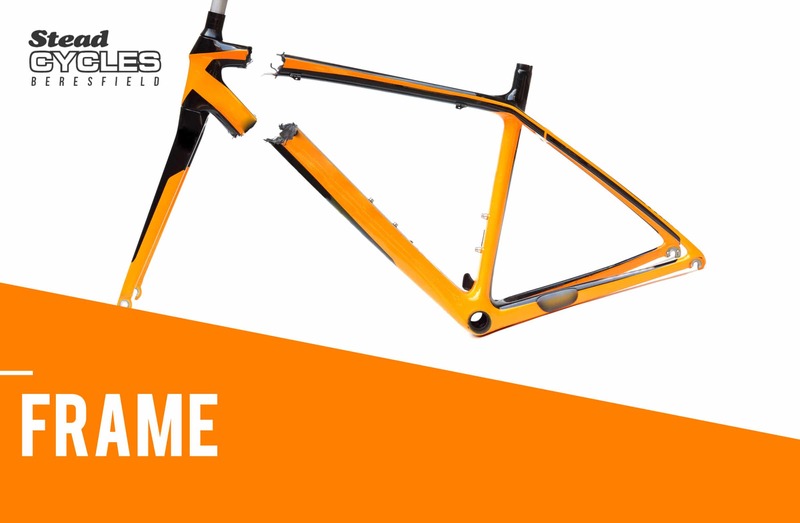 If you are going to build a bike, remember that a frame must be compatible to all parts. There are some forks incompatible with some frames and care should be taken to choose the right one for your needs. The stem is attached to the steer tube and helps with controlling the bike. The size and compatibility of the steer tube and the stem are crucial. You never want to get a stem that is too loose or too tight for the steer tube because it could make it difficult to steer the bicycle. Make sure that you also consider the size of the handlebars you want to get when choosing the right stem. It is best to get matching parts to get the perfect fit. 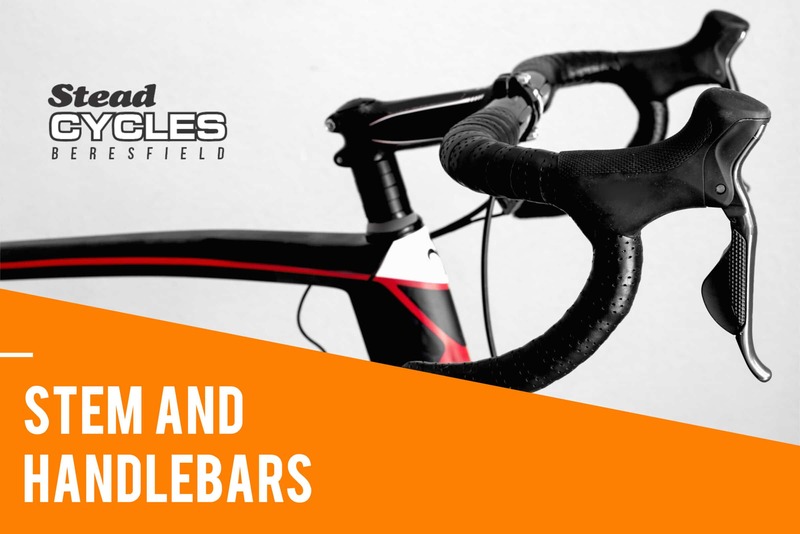 Handlebars are not simple parts as you have to consider the shifters and brake levers while choosing a good pair of handlebars. If you have older bikes you may sometimes come across a quill stem. Modern bicycles do not have quill stems, but bikes with threaded forks and headsets do. Quill stems fit inside the steer tube to tighten the wedge at the bottom of the steer tube. 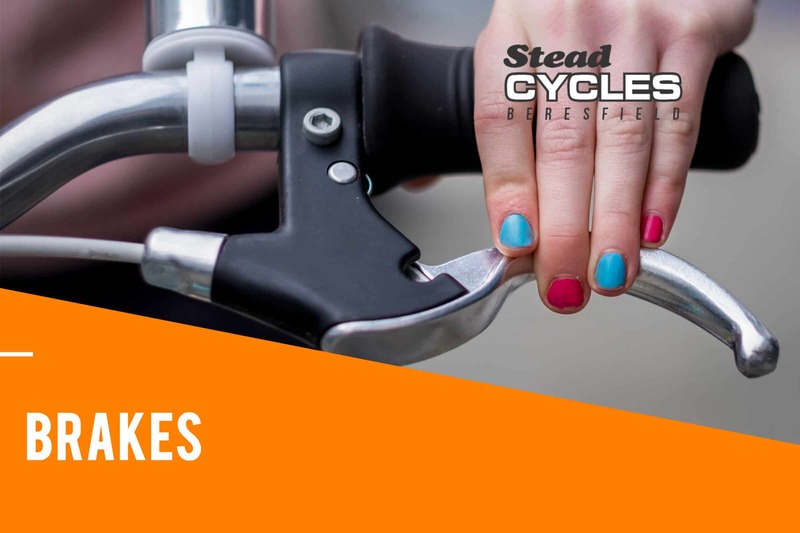 It is a no-brainer that brakes are important and should be present on every bicycle, but there is no one right brake for all. There are different kinds of brakes and you must understand each type before you get one or for you to understand your own. The three kinds of brakes are disc brakes, rim brakes, and hub brakes. Disc brakes have strong stopping power but are quite expensive. This is because they use a disc rotor and hydraulic callipers or disc brakes that self-adjust. Rim brakes are common in road bikes because they are easy use and readily available anywhere in case of replacement. Hub brakes are of better quality than the other two because they usually made from materials that are weatherproof. This adds cost and it may not be necessary depending on where you ride your bike. Tyres are dependent on the type of bike you have. Choosing a good set of tyres when building or buying your bike is dependent on where you want to take your bike and how often you use it. Put purpose as your top priority before buying a set of tyres. Within tyres are the wheels. The wheels have a hub, rim, and spokes. The hub is the middle of the wheel and it contains a set of bearings. They determine how light your wheel is and how easy it is to roll when used. The rim is the outer part of the wheel and may be made up of carbon or aluminium. The spoke can also be made up of different styles and they are added into the bike to enable it to carry extra load. 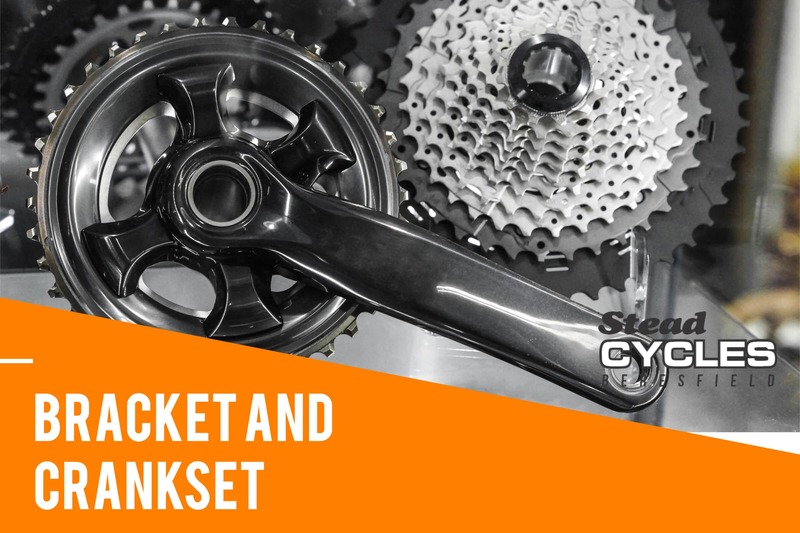 The bottom bracket is that part of the bike that connects the bicycle to the crank or chain set. The bottom bracket has a spindle where the crankset is attached and allows the crankset to rotate. Remember that the bottom bracket is attached or fits into a shell and the distance is determined by the thread pitch. Whether you’ll need another bottom bracket in the future or not, it is vital that you stick with the brand you started to get the perfect fit. This is because while two or more bottom brackets have the same bike fit despite the brands, the complication lies in the thread pitch. Bikes may seem complicated, but once you learn and identify the parts, they become easier to understand. Take time to learn about your bike and this knowledge will help you in future trips or repairs. Want to buy your own bike, or purchase parts to build your own? 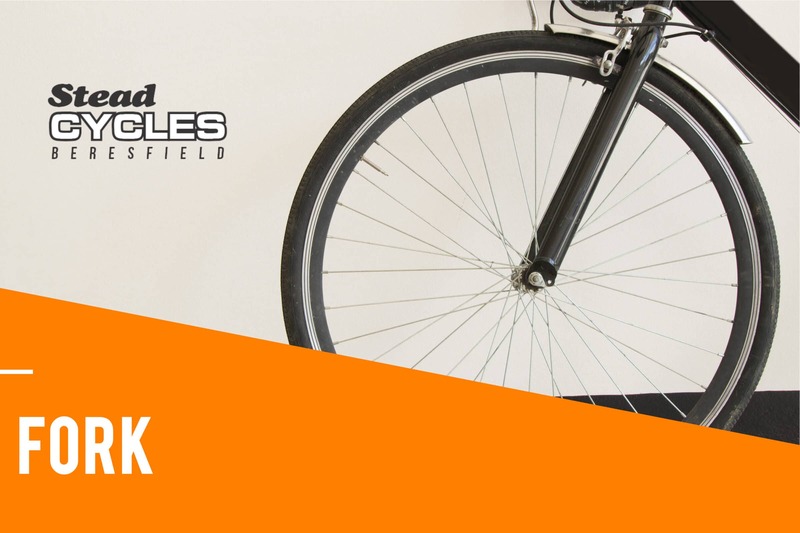 Wherever you are in Newcastle, you’ll be in good hands with Stead Cycles! 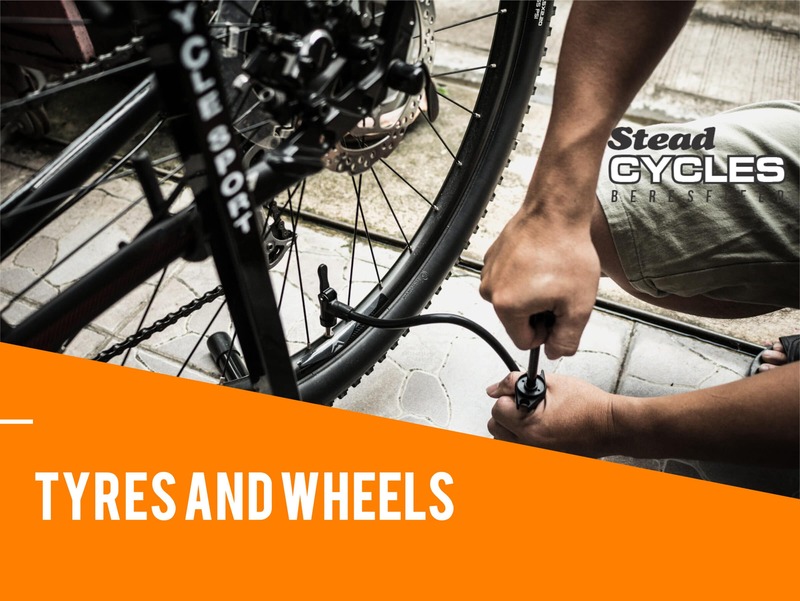 Stead Cycles is a tried and tested company that has been around since 1923! It is, and always has been, a passionate business established with the promise of crafting quality bikes. So whether you need a ready-made bike, or dependable parts to customise your own bike, you can be rest assured that we have nothing to offer but good and dependable products. Get the bicycle you’ve been wanting to have! Contact us at 4966 2141 for enquiries.